On May 14 2018, the Supreme Court struck down the Professional and Amateur Sports Betting Act that had made Las Vegas the only state where bettors could gamble on college and professional sports. (Sorry, wrestling fans, no betting for you. Spoiler alert — the matches are fixed.) Imagine how much louder your neighborhood sports pub will get when the obnoxious drunk at the end of the bar who won’t stop jabbering about his fantasy team is actually putting his money where his mouth is! Dozens of states are expected to legalize betting within the next few years. Naturally, there will be winners and losers. The American Gaming Association estimated that legal sports betting will generate up to $26.6 billion of economic activity and 152,000 jobs. Walmart and Target will make millions from fans converting their winnings into giant TVs. Even a few old-school backroom bookies will manage to hang on — they can offer credit, so they don’t have to start kneecapping until some poor loser fails to pay. But there’s one group we can count on to win big no matter who else loses, and that’s the federal, state, and local tax collectors sharing the juice from the new action. 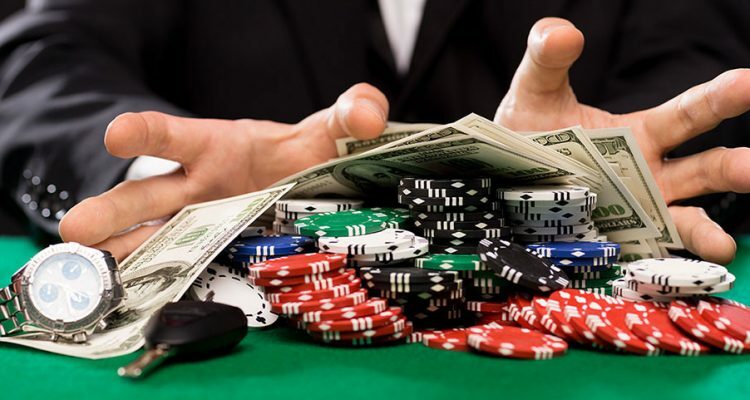 Gambling winnings are taxable just like any other income. The IRS doesn’t care who wins or loses; they just want their share. Winnings are taxable as ordinary income — you don’t pay any more if your favorite quarterback connects with a Hail Mary than you do for hitting blackjack at the casino. The biggest winners can even find their good luck pushing them into higher tax brackets. Of course, the IRS won’t be the only tax collector profiting from this cash explosion. State treasuries, which generally start with federal adjusted gross income or taxable income for their own collections, will also share the bounty. State and local governments may impose their taxes directly on gambling activities as well. And they’ll collect even more in sales and liquor taxes from bettors flocking to sports books and other venues. Here’s a proposition we bet you’ll like. Bring us your taxes and challenge us to help you pay less. You literally can’t lose. Call us today and see how much you’re losing — you can’t win if you don’t play!